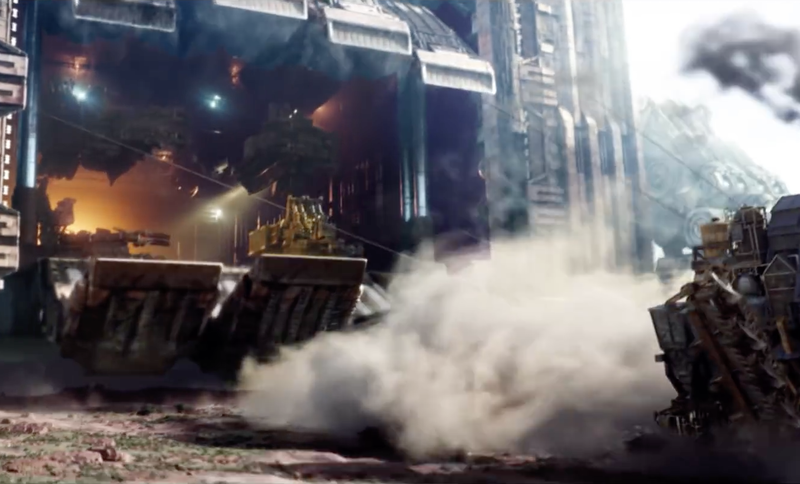 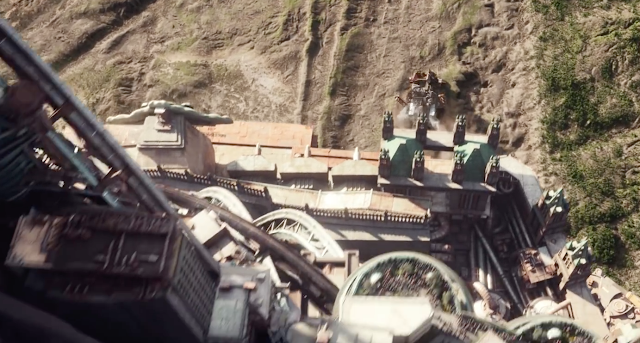 THE TRAILER FOR MORTAL ENGINES shows that 2018 might be a vintage year for steampunk enthusiasts and kitbash-diorama model fans. 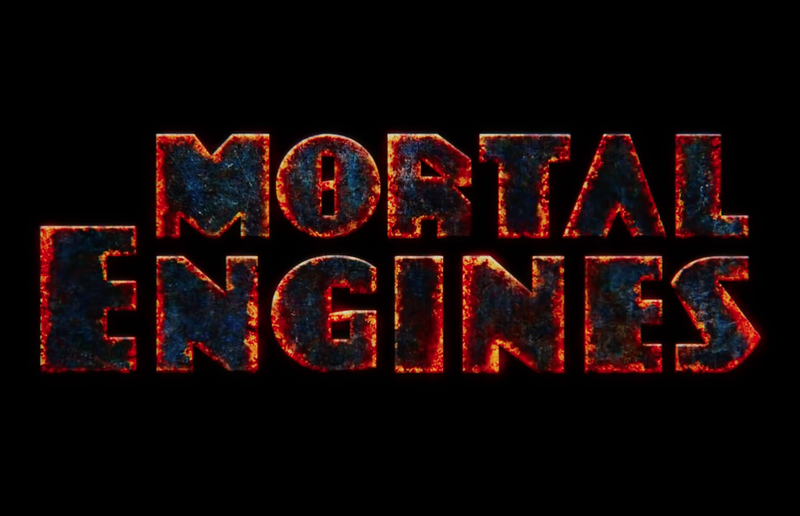 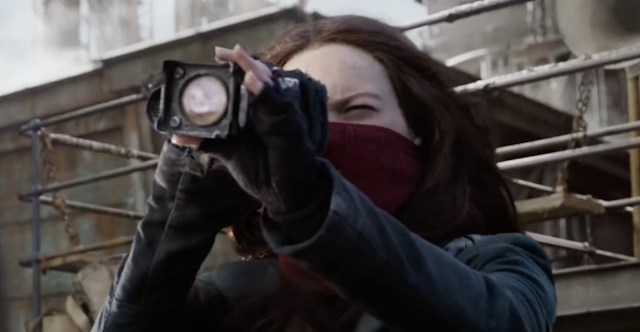 SMN report: The upcoming movie Mortal Engines is a *sorta* steampunk view of a world in which entire towns and cities have become mobile, and roll across the desolate landscapes of a post-apocalyptic wasteland. 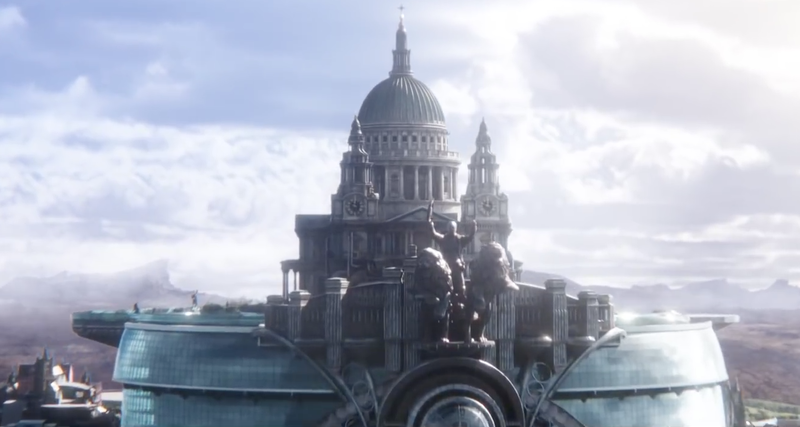 Actually, author Philip Reeve's 'Traction Era' is no world that we are likely to see; instead, he imagines a parallel universe which combines old and new in bizarrely inventive ways. Director Peter Jackson (of Lord of the Rings fame) has shot the movie in New Zealand, and we'd like to think it'll be another win for him. 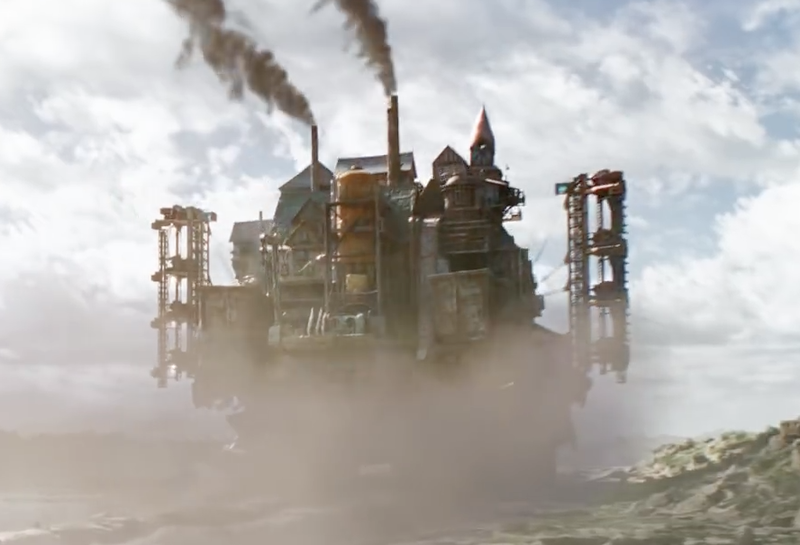 For us model makers, Mortal Engines could be an inspiration for kitbash projects, some of which ought to be aiming to win sci-fi and fantasy awards at model shows. Click here to watch the short teaser-trailer on YouTube. Here are some stills (below) from the trailer. 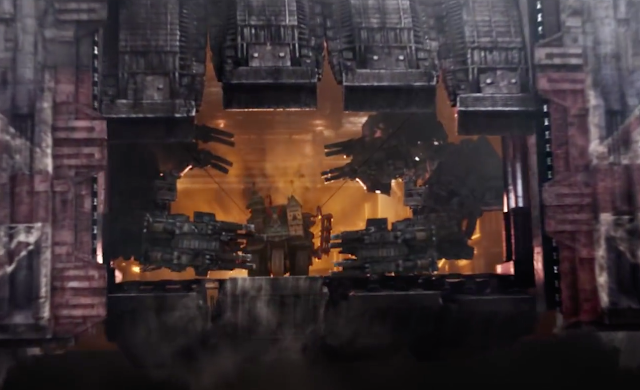 They make this sci-fi buff itch to get working on a fantasy scene in miniature.